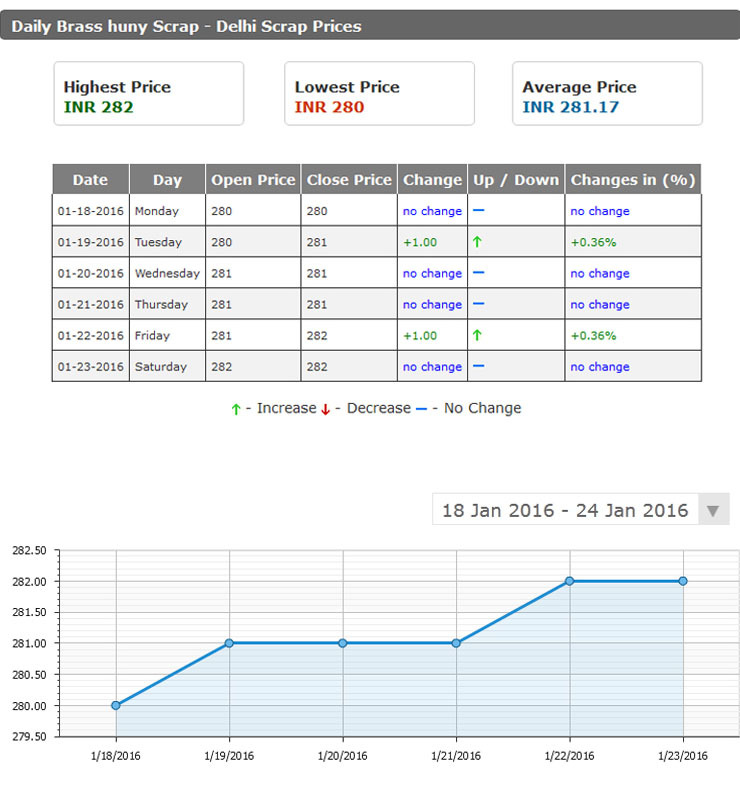 Will The Renewable Sector Grow in 2016? As the New Year, 2016 dawned on the horizon; everyone had a great anticipation that unlike the nightmare of 2015, this New Year would be Great, Prosperous, Blissful, Healthy, Bright, and Delightful 2016. The expectation was 2016 would bring plethora of opportunities to weave success stories. But, behind this anticipation & expectation, who knew the first shock of life was lurking around. 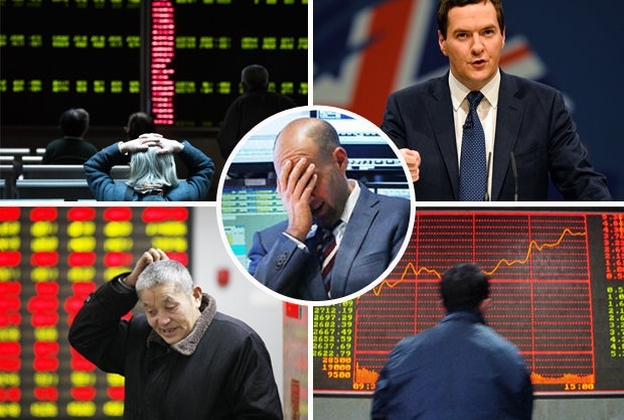 To the utter dismay of everyone, the news from the markets in the beginning of 2016 we got was that the Chinese Stocks crashed, Oil Prices crashed & Scrap Markets is down, sending a chill down the spine. 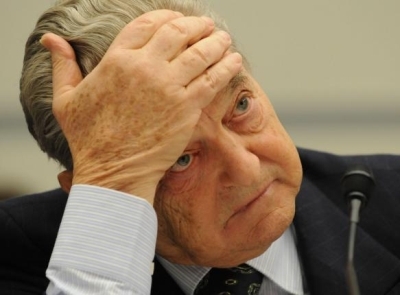 Billionaire, financier & Investor George Soros no doubt is a widely followed voice across world markets, said that it was going to be a difficult year; and 'the balance is to the downside'. When he was asked what or how to play the markets in such an environment, he didn't answer directly, He sounded downbeat about the global economy. On the contrary, according to ace economist Kenneth Rogoff, Prof Economics & public at Havard University was very optimistic and told nothing to panic and to adopt policies that cushion things over the long run. The Chinese government suffered a major crack, I should say, in its credibility by mishandling a collapsing stock-market bubble inappropriately, raising questions about how well it will be able to manage the ongoing shift in its economy to slower, but more sustainable, growth. Although the government has revived itself to alleviate any immediate sense of crisis, the challenges in 2016 remain formidable. Between a slowing Chinese economy, collapsing commodity prices, and the beginning of the U.S. Federal Reserve’s rate-hiking cycle, many emerging-market economies have become quite fragile, notably Russia and Brazil. Twenty years ago, with inflexible exchange rates and massive foreign-currency debt, the kind of duress these countries are experiencing now would have inevitably led to financial crisis. Now, with flexible exchange rates and most government debt denominated in local currency, their economies are more robust: They are suffering deep recessions, yes, but not yet the start of “lost decades.” However, with Brazil’s multibillion-dollar corruption scandal deepening by the day and plummeting oil prices undermining Russia’s fiscal sustainability, 2016 will further test these economies. 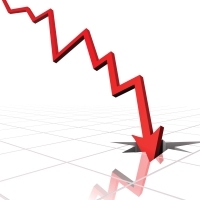 Renewable-energy companies suffered in 2015, with stock prices plunging. China and India have set impressive targets for deploying renewable energy, and the United States recently extended generous tax credits that will support several years of booming renewable-energy growth. If this helps these companies recover in 2016, it will be an encouraging sign that the industry is moving in the right direction to challenge the fossil-fuel industry. If European and global markets remain calm, Europe will continue its recovery. But any of a number of shocks, whether a hard landing in China, debt problems in Europe, or disruptions elsewhere, will create substantial pressure on policymakers at a time when the constraints on their ability to act are intense. 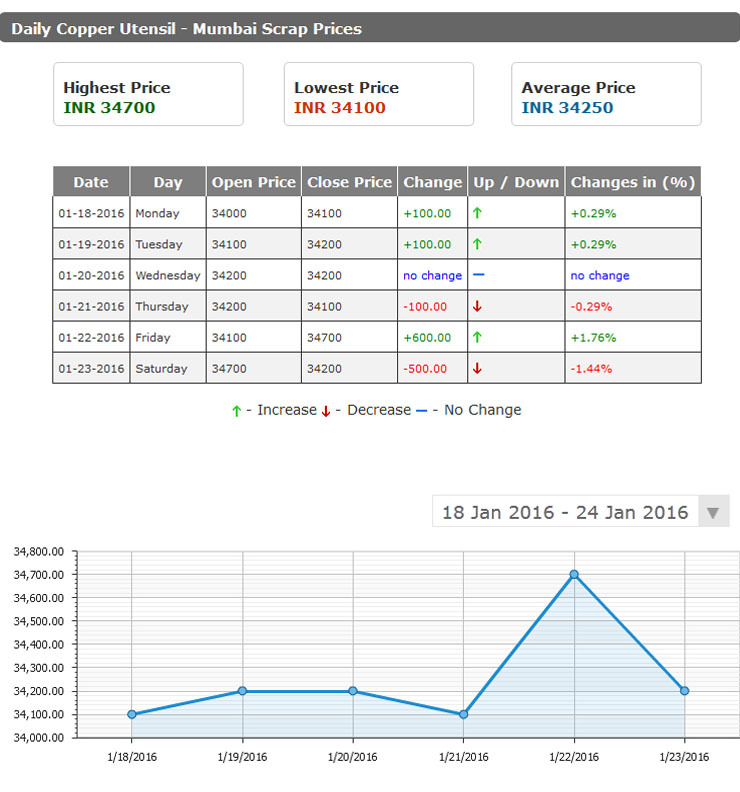 Inspite of having a bad start in 2016, the Indian Scrap Market is seeing optimism as there is demand in the Chinese markets for metals. 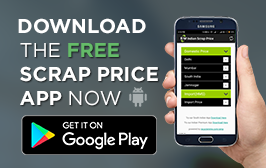 Yes, the market is volatile, unpredictable and would continue to remain so for some time but cannot say till when, but the Indian Scrap Market is scripting a different story. Let’s see the prices at major places during the last week. 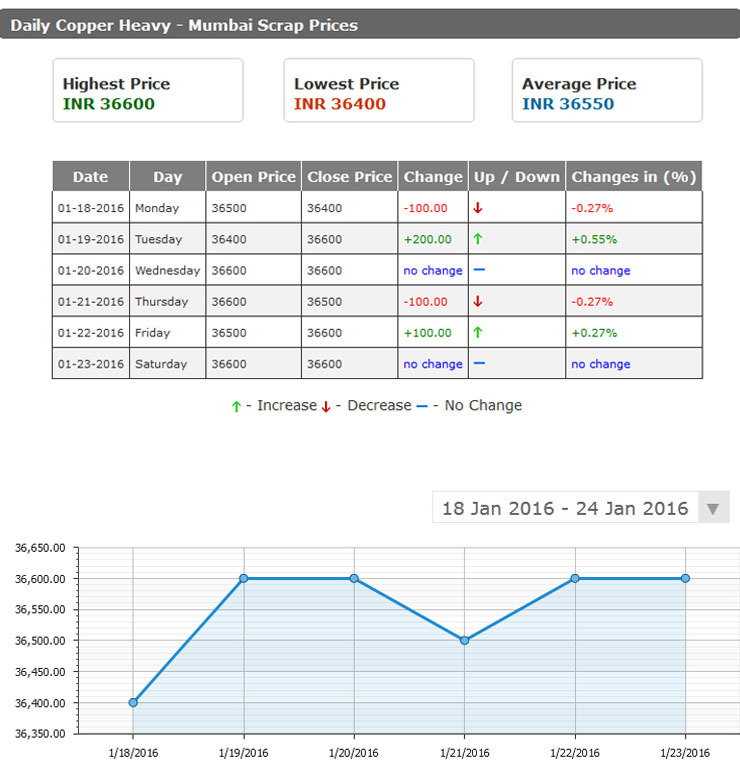 In Mumbai Copper Heavy Scrap witnessed a hike of 0.27% and closed at INR 116/Kg, Copper Utensils Scrap witnessed a hike of 0.59% and closed at INR 342/Kg. 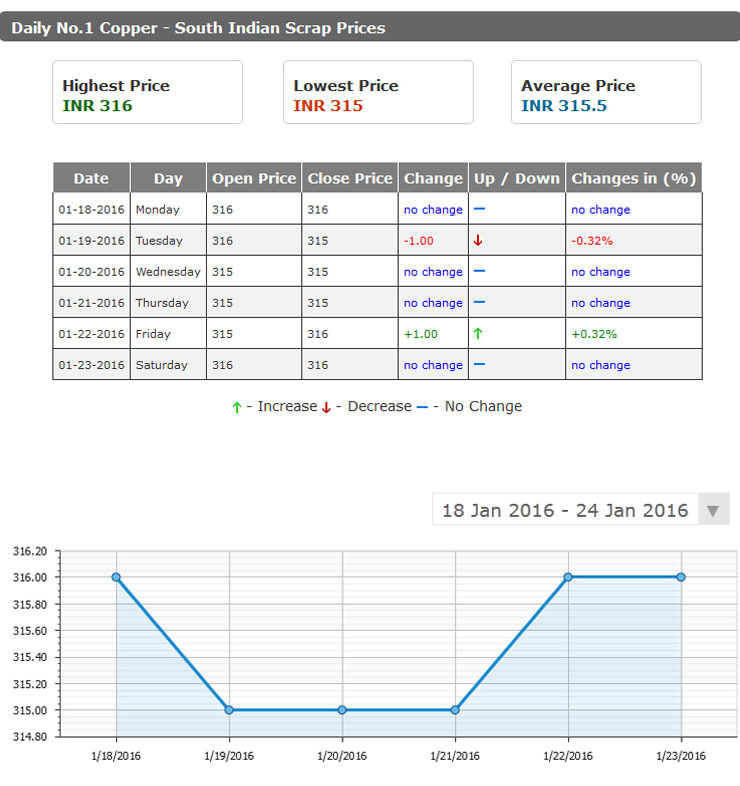 In South India No.1 Copper witnessed down fall of 0.32% but recovered the loss and closed at INR 316/Kg. 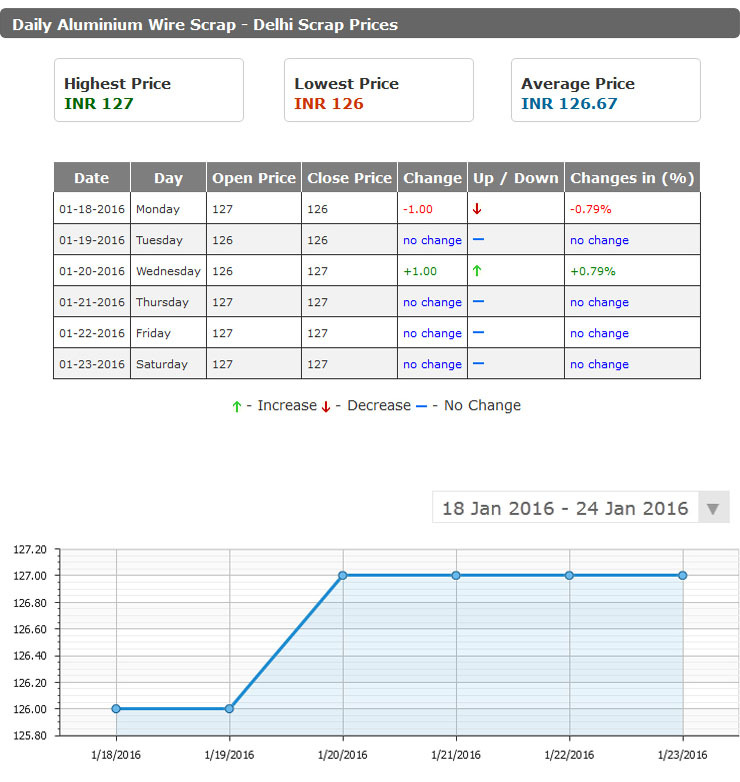 In Delhi, Aluminium Utensils Scrap witnessed a hike of 0.59% & closed at INR 342/Kg, Aluminium Wire Scrap witnessed a fluctuation of 0.79% & closed at INR 127/Kg. 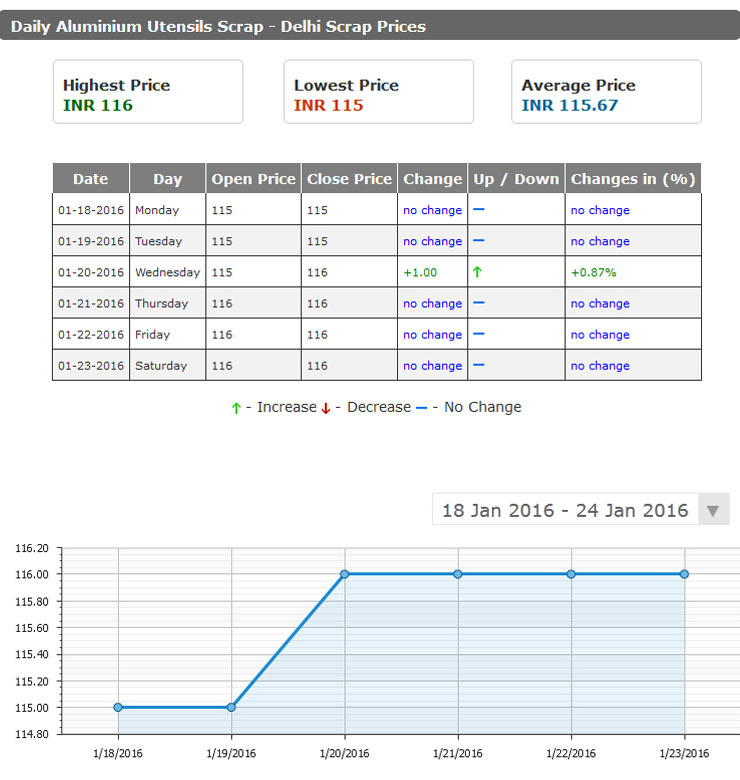 In South India, No.1 Aluminium Scrap witnessed a fluctuation of 1.08% & closed at INR 93/Kg. 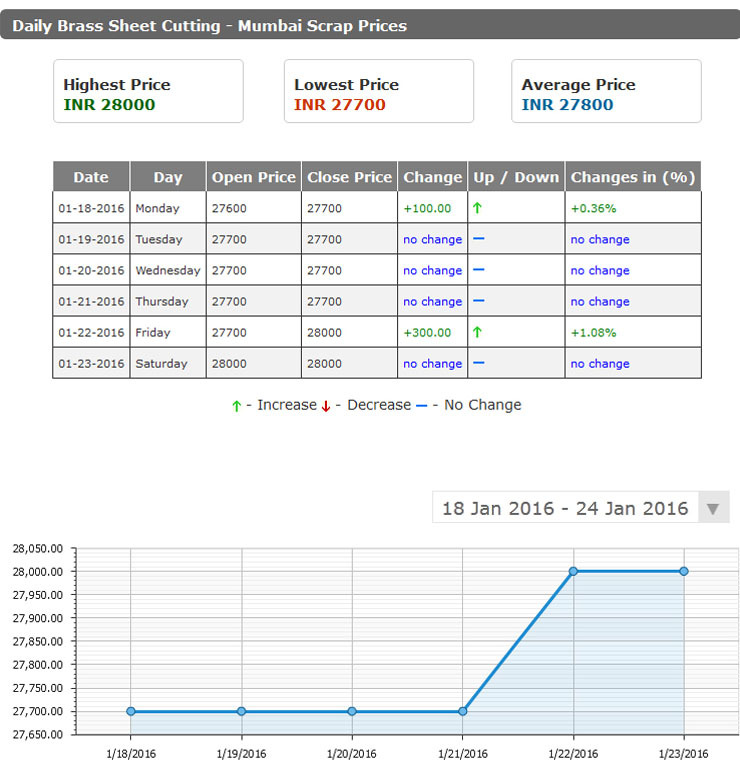 In Delhi, Brass Huny Scrap witnessed a hike of 0.71% & ended at INR 282/Kg. 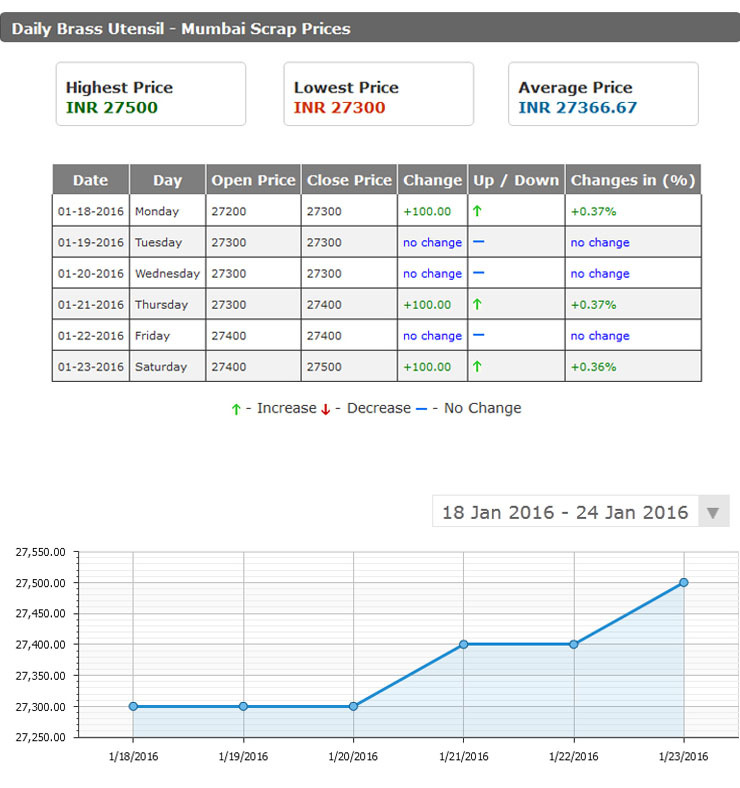 In Mumbai, Brass Utensil witnessed a hike of 1.10% & closed at INR 275/Kg, Brass Sheet Cutting witnessed a hike of 1.45% & ended at INR 280/Kg. 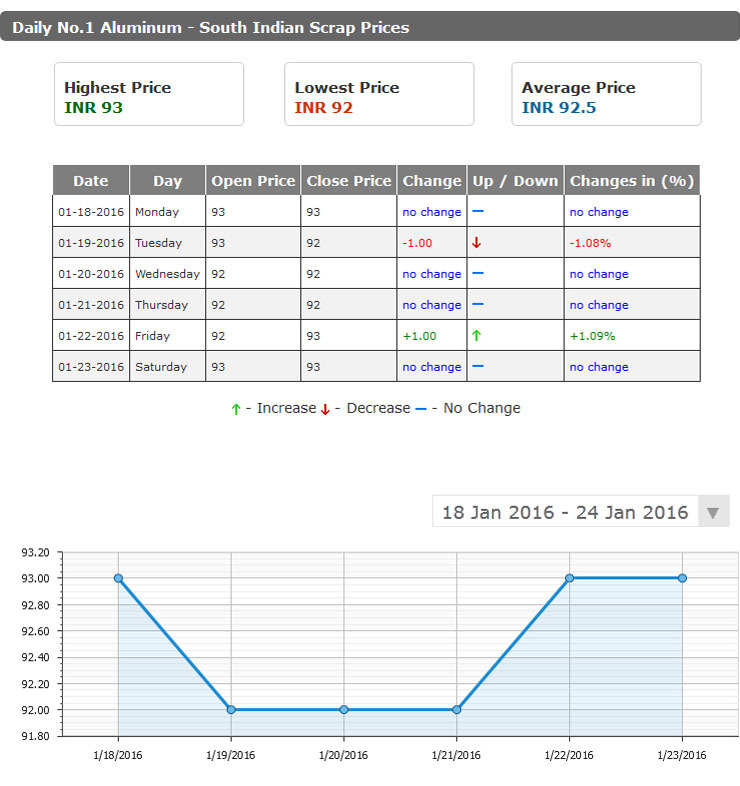 In South India, Brass Scrap witnessed as fluctuation of 0.40% & closed at INR 249/Kg. 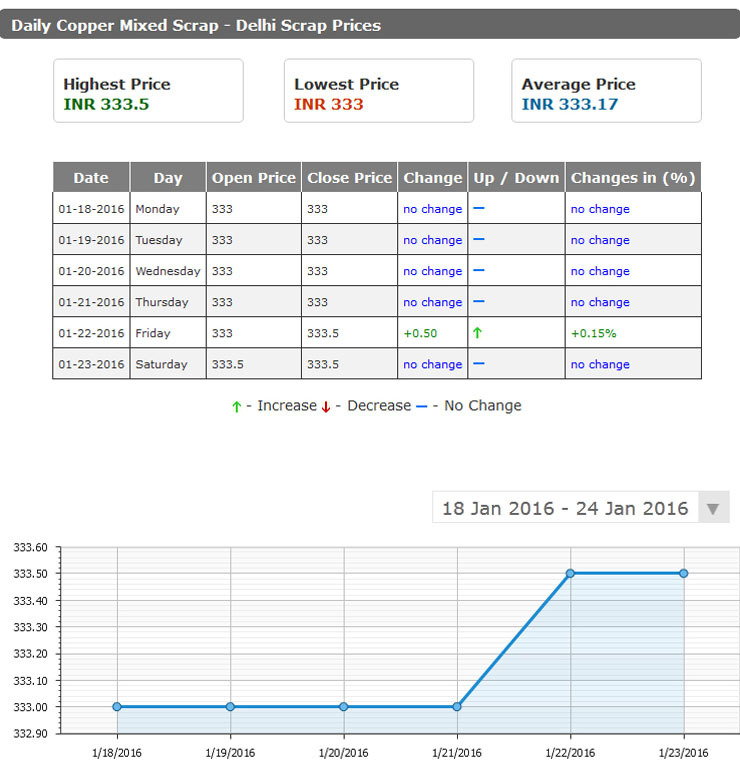 Based on the market research & analysis through the last week, I would say that Indian Scrap market is very much on the positive side with marginal fluctuations though, but nevertheless regaining the lost ground very quickly. The Indian Scrap market is very optimistic of healthy growth in the field of renewable energy as slowly the need for metals is on the increase in China.